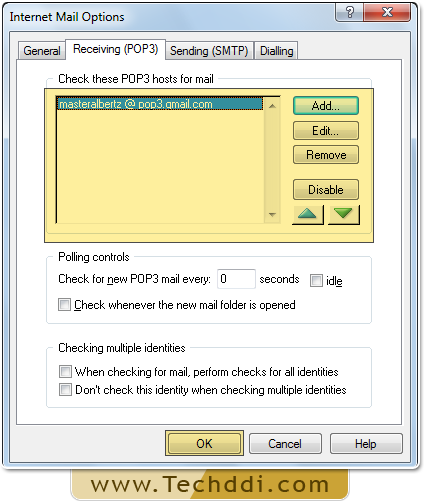 Password Recovery For Pegasus Mail reveals misplaced or lost multilingual, lengthy and complex passwords. 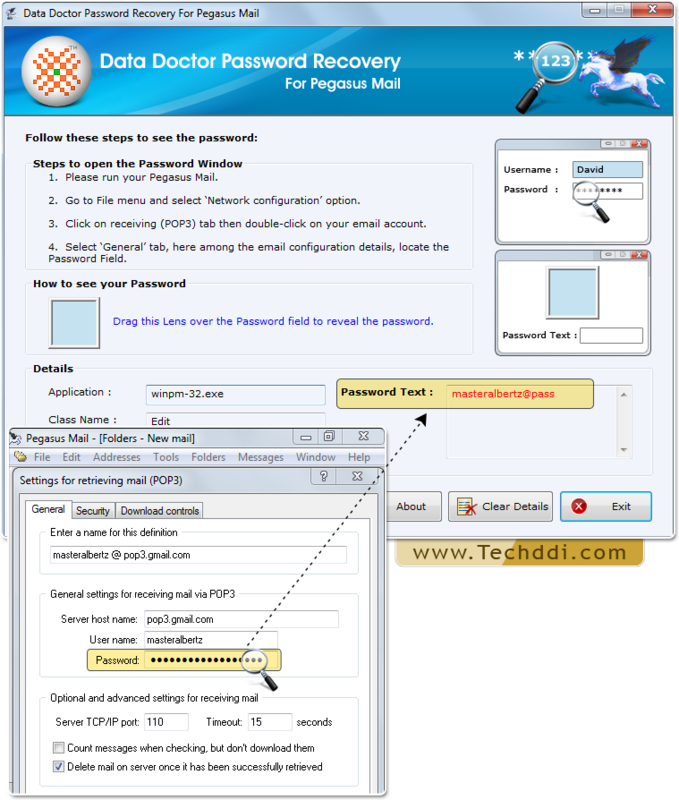 Password retrieval tool provides recovery of all special character passwords of Pegasus account. 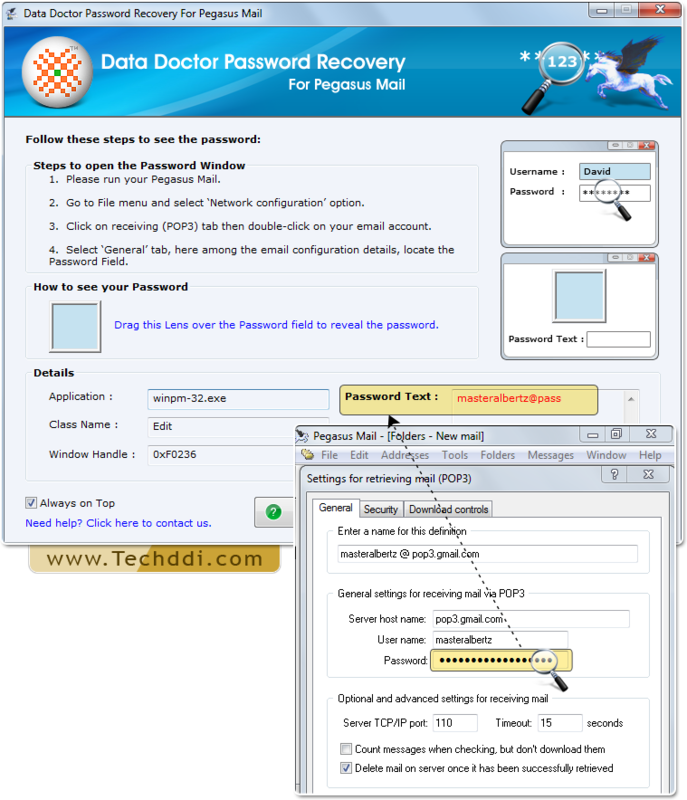 Forgotten password recovery using Password Recovery Software For Pegasus Mail. 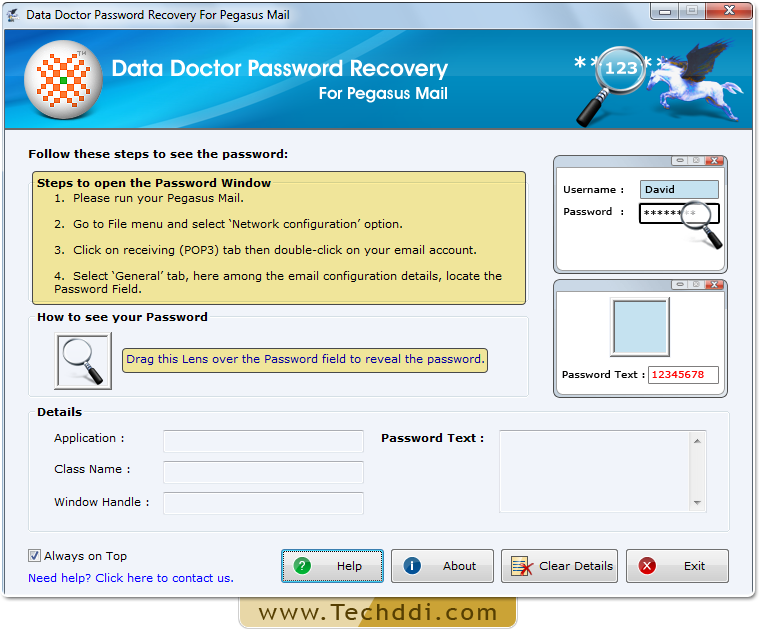 Install and Run Password Recovery For Pegasus Mail. Follow above steps highlighted in the screenshot. 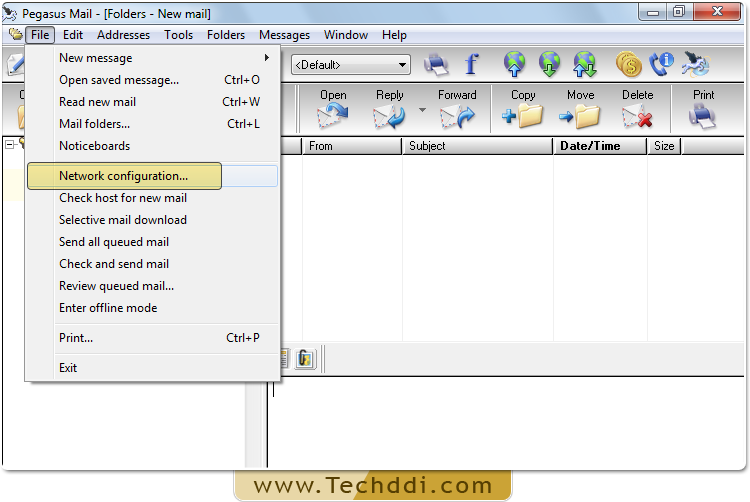 Run your Pegasus Mail, Go to file menu to choose 'Network Configuration.' option. 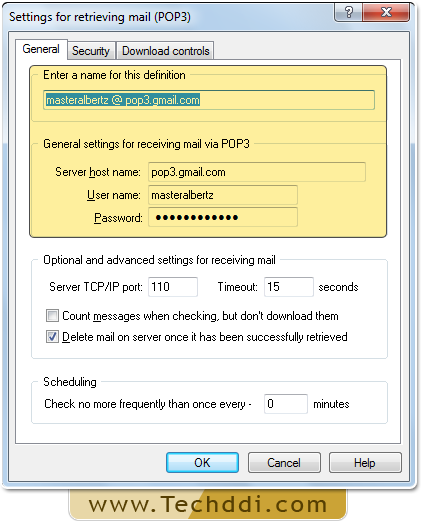 Go to Receiving (POP3) tab to select your email account. Click on General tab, to get configuration details. Drag lens over password to unmask your password that will be shown in password text field.